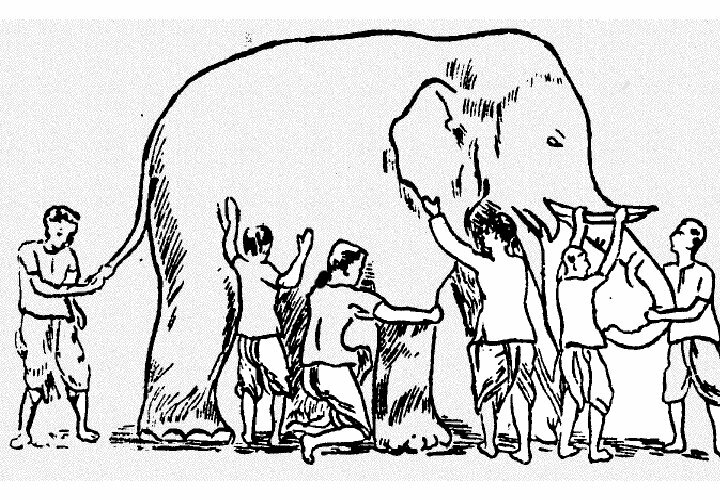 ‘Blind Men and An Elephant’ vis-a-vis Current Indian Education System | Life of an "Aamjunta"
Very few people in India understand education and very very few understand education system. As you mentioned and Chanakya said Sikshya or Education is supreme. Education does not mean book education. What we need a holistic education. Where is that? Who is going to define and re-define? The privatization of Education is another point. Is Education a client-vendor relationship? Let us debate. Thanks to Aamjunta for starting the thread. Well said.. True. Unless it is HOLISTIC, nothing can change. All stakeholders in the system must act. Some parents keep changing their kids’ schools because they believe that each new choice is better than the last one.. But they never realize their contribution, call it responsibility or duty, towards upbringing of their children beyond school-hours !! Those hours are mostly spent in malls, video-games or some other unfruitful fun. Saddest part is when such parents keep nagging in front of their children and guests- “dekhiye na, ye log kuch bhi nahi paddhte.. iss baar bhi humne itna paisa bhara wahan” ! There’s something highly ridiculous about the education system in India. The govt pays very high salary to teachers in govt schools. But there is no teaching going on there. Private schools pay much less to the teachers and the teaching is of good quality (in general). Now, why can’t the govt make the govt school teachers more accountable so that the children of the less privileged families can get sound education? Why not make the system work? Not sure how the system is going to work. Teachers are here not to teach and to do all other admin jobs including census, mid day meals and election duty. No one bothers. School is there without building. Sarv sikshya is bevoming sarv murkh.. Complete change is required. Private schools – equally pathetic. Coaching and tution is only growing in the country. @Matheikal – yes, you are right. We give all types of taxes and again on top of those we pay big amount to private schools and colleges, if we want something good (?). Then what is use of these taxes? @Anita – yes, the Teachers in India are nowadays not employed only for teaching… They have many admin jobs also as you rightly highlighted. So obviously there is a different kinds of stress as well. I am still at shock, not at the way these places function but at the fees amount. I said places as they hardly qualify to be called as schools. This is not the way our future is gonna change. We are not preparing our children to face life. I somehow feel, our parents’ time was good, their teachers were more responsible. Now it’s all commercial. Education system of the country is in dire straits. Public school teachers are overburdened with everything except teaching, and private schools, well students can afford classes. I wish people understand the importance of getting good education rather than just getting good marks. Good one. The art of comparison is great here. You depicted the problem very well. Hope Modi-sarkar will do something.